Every manhole cover will be sat over a chamber of some description, whether that is; a telecom chamber containing fibre optic cables, a water utility chamber containing valves, a manhole backdrop or a simple drain inspection chamber. Chambers can be made in different ways and from different materials; traditionally it was brick chambers that were built by hand before engineers moved on to forming concrete chambers using shuttering. 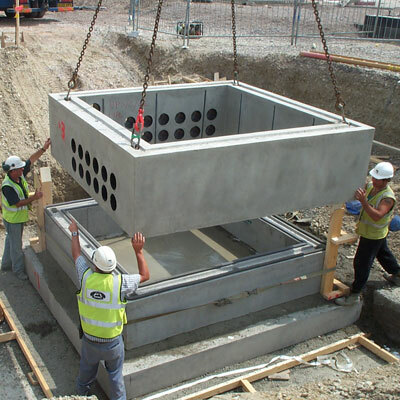 In more recent times, and as technologies have advanced, high density plastic chambers have become available and, as off site building has become more popular so have pre-formed concrete chambers. 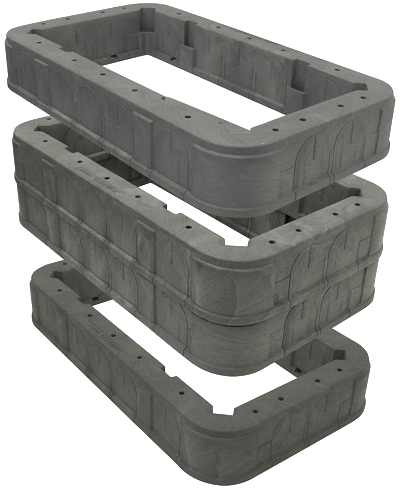 Plastic chambers, made from GRP or HDPE, are a quick and easy to install and very safe to handle due to their light weight. They are generally modular in design and come in rings which interlock when stacked to form a solid, self supporting structure capable of weight loadings up to F900. The stackable nature and ability to cut duct entry points, as required, make preformed plastic chambers extremely versatile. Plastic manhole sections are very popular as telecom chambers because they can simply be laid on well compacted ground and back filled. This means contractors can move on to the next chamber without having to return to remove shuttering and fit the telecom cover. Cubis Industries are the market leaders when it comes to preformed plastic access chambers and their Stakkabox range is well known in many markets including telecoms, water and rail. For example, the Stakkabox Quad is the only BT approved chamber for use on the Openreach network. 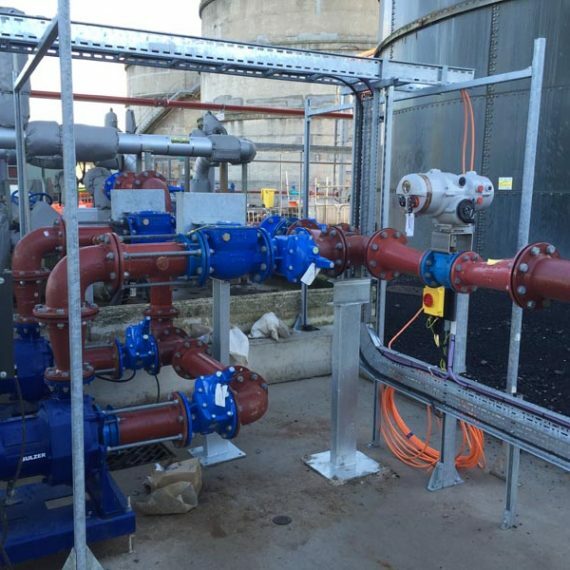 Castings Services stock a variety of chambers to suit different applications including hydrant chambers, valve chambers, footway chambers and carriageway chambers. We also offer clients the option of having chambers preassembled offsite so that they can be delivered complete and ready to install. Preassembled chambers come complete with cable management or box furniture, manhole steps, base plates and sump grates as well as pre-cut duct entries. Offsite construction is becoming increasingly popular for numerous reasons including health and safety and cost savings to name but a few. With this in mind we have partnered with precast concrete specialists Kijlstra who are world renowned for high quality, innovate precast concrete products and we work with our clients and Kijlstra to design and deliver complete chambers and cover slabs. 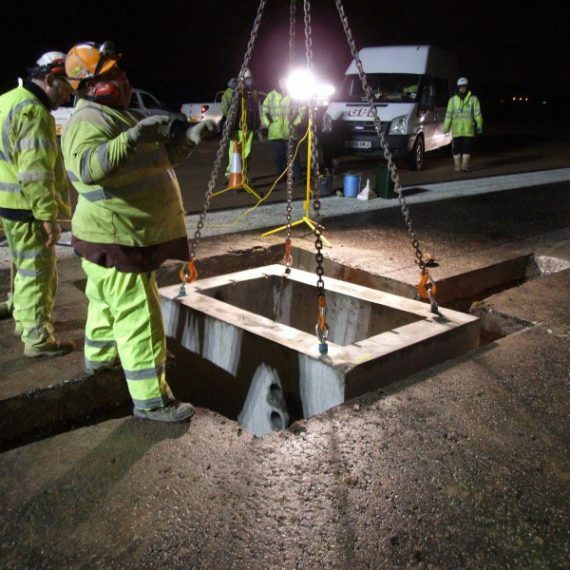 Precast concrete drawpits and manholes are capable of extreme weight loadings and are ideally suited to runways and docklands but, because we have the ability precast a chamber with the access cover already cast in the cover slab. They are also very useful for motorway communications and telecom projects where speed is of the essence or where night work is being carried out as there no need for core drilling, grouting, confined space work or concrete surrounds.